Our ccScan for Salesforce software is a smart process Windows application, designed to help you manage your business documents in a cost-efficient and collaborative way. Scan or Import your documents directly to Salesforce. Save time and money by turning a multi-step task into something virtually hands-free. Scan. Import. Identify. Classify. Store. And share. All in one step. Your documents are quickly and easily combined and shared with Salesforce Attachments, Content, Chatter, and Salesforce Documents. Automatically update custom objects and fields on the way. Import hundreds or thousands of documents and faxes to Salesforce, all at the touch of a button. You set it, and forget it, leaving you with more time for more important tasks. Working with the Salesforce Group, Professional, Enterprise, and Unlimited editions, ccScan fits any budget or company size. ccScan Advanced for Salesforce provides the power of fully automated and unattended importing – complete with automatic naming of files – of any paper document. Any office, either paper-based or paperless, looking to automate their system will benefit from its smart processing and intuitive capabilities. ccScan Advanced features are based on sophisticated technologies such as barcode detection, OCR, and Text Pattern search and extraction with Regular Expressions and conditional Rules. Please see a detailed list of features below. ccScan enables you to easily search Salesforce records in order to attach documents using SOQL (Salesforce Object Query Language) queries. ccScan Advanced offers several search and creation methods, including automatic capabilities based on detected barcode values or found from patterns in text extracted with OCR (optical character recognition). You are able to even drag & drop URL addresses of Salesforce detail pages open in your browser directly to ccScan, instead of using its lookup functions. 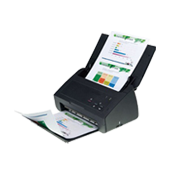 ccScan provides highly efficient features for scanners with a large document feeder. It enables you to separate multi-page documents automatically with barcode pages included with ccScan or if you prefer create your own. Each resulting document can be uploaded as a Salesforce Attachment, to a specific Library in Salesforce Content, or a specific folder in Salesforce Documents. With ccScan Advanced Edition, automatically populate input fields such as description and keywords using text extracted from selected portions of the scanned or imported images. Use the optional OCR Engine with the Standard Edition to manually sweep data into custom columns or fields. Permanently redact and annotate the pages of a document before storing it. With ccScan, you can scan or import documents as Salesforce Attachments directly into the Notes & Attachments section of any Standard or Custom record. It permits you to search, access, and apply settings such as document name, description, and privacy. In addition to selecting a Library in Salesforce Content, ccScan permits you to search and edit a wide-variety of Content settings for any scanned or imported document, including document title and description, amongst a multitude of others. Documents can also be stored in Salesforce Chatter, the industry-leading social network that provides unparalleled collaboration and syncing. Finally, along with selecting or creating a folder in Salesforce Documents, ccScan supports the majority of settings that can be applied to scanned or imported documents. When creating new or updating existing documents, the input fields can be entered explicitly or fully automated through macros and barcodes. During job setup, choose the input fields to be utilized and hide those of no interest. Everything is fully customizable, with as much or as little automation as you want. ccScan provides powerful bulk importing functionality. Using wildcards (search specifications) to select document names and/or file extensions from a local folder, ccScan will automatically search for, identify, and export all applicable files into Salesforce Documents. For example, you may select TIF or GIF files with the letter X in the second filename position by using a wildcard specification of ?X*. ?if and enabling Recursion. ccScan will navigate all folders below the initial folder and import all files meeting your search specifications. Import any PDF, JPEG, TIF, PNG, BMP or DCX document types, in addition to any other file format accepted by Salesforce. When the Startup Wizard is complete, ccScan is ready-to-use with a set of default jobs. Jobs can easily be customized to process recurring scanning or import tasks with minimal clicks to save time and reduce the potential of input errors. On a per-job basis, decide which scanner and import fields the user should enter, set those defaults, and provide details for fields not shown. Security is paramount in the digital world, and ccScan takes the security of you and your business very seriously. ccScan does not locally store any Salesforce usernames or passwords by default. Your documents and settings are transferred directly from your PC to Salesforce without first uploading them to any intermediate web servers. 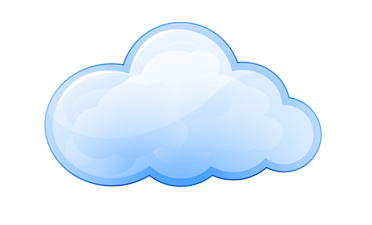 Documents are safeguarded with Secure Hypertext Transfer over Secure Sockets Layer (SSL) while transferring to and from the Cloud provider. All jobs are fully protected by password and powerful built-in .Net encryption. A password-protected setup mode is provided to allow administrators to manage creation and setup of all jobs within the network. For smaller operations, the administrator and user are typically the same person. A daily audit trail is maintained in friendly XML or JSON to keep track of all scanning and import activity. Administrators can easily switch between multiple Salesforce Orgs, and edit a variety of parameters, such as allowing an automatic login to Salesforce or requiring an explicit login at each session. Total control is in your hands. Create Attachments from scanned paper or imported PDF documents. ccScan can automatically update the parent record fields with information extracted from the attached document. Run unattended jobs to import electronic documents or faxes and automatically attach them to new or existing Salesforce accounts. ccScan will determine the corresponding record by text taken from barcodes or pattern searches in the document. Scan invoices and automatically attach them to custom Purchase Order records based on the retrieved purchase order number. Scan documents and automatically populate custom fields in Content Libraries. Use ccScan in a wide range of business processes where opportunities for automation and better time management are present. Export documents directly to Chatter to preview quickly on your mobile phone or tablet with minimum navigation. ccScan Standard is similar to ccScan Advanced, but without the automation capabilities. Standard saves time and money, but does require a bit more guidance. Typically used in an office looking to efficiently scan to Salesforce, ccScan Standard eliminates manual steps like scanning locally, naming the document, creating a folder, uploading the document to Salesforce, and finally editing the Salesforce properties, such as description and keywords, or entering values in the custom fields defined for a Salesforce Content library. Instead, ccScan Standard does all of this for you in an efficient, single-step operation. Free 30 Day Trial! Save time and money by using ccScan for Salesforce. ccScan works with the Salesforce Group, Professional, Enterprise, and Unlimited editions.